Hello! Welcome to our first bonus membership goodie episode. We want our members to know that their digital goodies are ready to go- and if you aren’t a member, you might want to be! 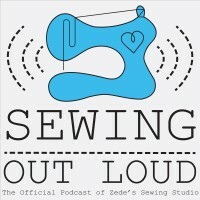 If you love the sewing media from SewHere.com, then you should consider becoming a member. 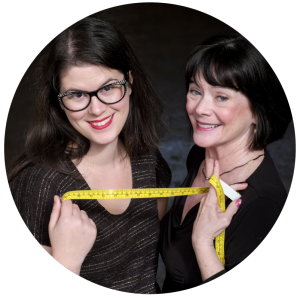 Memberships are the main way we support the production costs of Sewing Out Loud and the Self Sewn Wardrobe Group. This month, we’ve got the Sew Long and Sew Happy Zine for Backstitch and Zig Zag Members. This month, we’re focusing on foundations and the zine includes instructions to create footed stockings with a classic back seam from your Made to Measure Leggings pattern. Our Self Sewn Wardrobe Planner has hand drawn illustrations by Mallory and questions to help you reflect on your Foundations wardrobe and plan your Month of Making Foundation Garments. You can join at SewHere.com/Membership. Support SewHere for as little as $1.50. We’re happy you’re listening, thank you so much- that’s a big vote of support in itself! There are some other easy ways to support SewHere. Shop at our Amazon Influencer Shop– we’ve got awesome sewing recommendations there, and we receive a commission on anything buy when you shop through our link. Review the podcast in your app- listening on Stitcher, ApplePodcasts or some other podcast app? Review us (kindly, if you like).